Both receivers are alike but Onkyo TX-NR686 vs Denon AVRX2400H have some peculiar features that make each one of them stand out. Onkyo has a very high power consumption compare it, Denon, although more efficient is still missing out on some cool features. Both play WAV, WMA, MP3, Apple Lossless, FLAC, DSD and AAC formats. The same goes for the decoders, both of the AV receivers play Dolby Atmos, Dolby Digital Plus, DTS:X, and DTS-HD. Denon AVRX2400H also boasts of Dolby surround. While Onkyo TX-NR686 has DTS neural:X.
Onkyo TX-NR686 has Deep Color and Bi-Amplifying features. Both of these AV receivers have a dual zone capability meaning that they can both be used for two different rooms at the same time. The surround effects are also different. Onkyo TX-NR686 has a 32-bit surround sound with Theater-Dimensional Virtual Surround versus Denon AVRX2400H has a 24-bit surround sound with Cinema EQ. Loudness. Both have a clock with a timer. 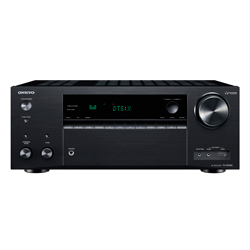 Onkyo has an AM/FM radio with 40 channels while Denon has 56 channels. 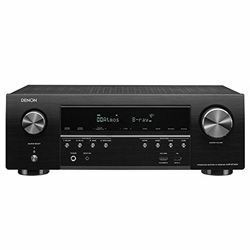 The total output power is also different, Onkyo has 800 W and Denon has 500 W.
Onkyo TX-NR686 has 7 AV inputs and Denon AVRX2400H only has two. Other inputs are similar to 2 optical digital inputs, 1 coaxial digital input, 2 subwoofer inputs, 1 USB and 1 phono input. Also, both receivers have a Wi-Fi, Bluetooth, and IEEE. As you can see although they belong to affordable options you still can enjoy the versatility and different options. Onkyo receiver has a black matte chrome design with a black display and green fluorescent letters. Denon has a black minimalistic metallic design with a black display and white fluorescent letters. Both are really stylish and can be an amazing addition to your home cinema. The setup was really simple, took me a few minutes. Even if you are not into technology the manual is really clear. The value for the money is really great. You get lost of the latest technology at an affordable price. If you need to repair it, the shipping is on you even if you have a warranty. Many reports about random connection losses. Very easy to align and to set up with your home cinema, all family can use it. Amazing sound quality way above the price point. Some customers complain to overheating issues. Not enough customer support centers, make sure you have a warranty repair store in your area.